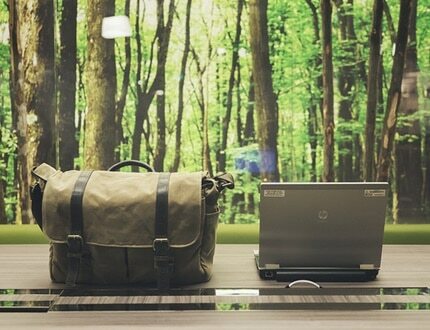 Summary: A green workplace promotes practices that can reduce ecological footprint and help the environment. Obvious benefits include reducing waste and cutting costs. It can also have a positive effect on employee health and productivity. Turning into an eco-friendly business is not an overnight exercise. We’ve put together some tips to help your business Go Green. It’s time to enhance your reputation for greener, cleaner, and more efficient practices! For green solutions tailored to your business, contact Alsco now. Going green is a trend with a variety of benefits for business owners. It will create a healthy environment for employees, reduce unnecessary waste, and promote a positive response from customers. Research has shown that businesses with eco-friendly work practices are more highly thought of. The 2009 Auspoll survey revealed that consumers are now concerned with the environment and countering climate change. Reduce operating cost. Going green involves money-saving practices. Printing less lowers the budget spent on paper usage and printing materials. Turning off lights in vacant offices can help you save on utility costs. Healthier workplace. Going green means choosing greener options from food selection down to cleaning supplies. A healthier workplace will help decrease the number of sick days and increase productivity. Save the environment. Maintaining eco-friendly business practices is a social obligation to your community. A large value of going green goes to the environment. Green methods help in preserving our natural resources. Adapting to greener business practices does not mean imposing strict rules. It will require effort but the steps are easy. Get ready to create a more positive work experience for your staff and contribute to a better environment. The old equipment you’re using at work may be consuming more energy than they need to. It’s time to switch to energy-saving appliances and get a difference in consumption that can range from 50 percent to 90 percent. For instance, cloth towel dispensers are a greener choice over hand dryers. To prevent water wastage, consider installing modern dual-flush toilet units, which use only 25% of the water per flush than the older single flush toilets do. Most businesses consume tons of paper per year. The most cutbacks come down to the decisions that employees make during their working day. Some examples include reducing the demand for printing or switching off lights in rooms when unused. Are separate recycling bins provided in work for plastic, paper, and glass? Is waste being placed in the provided recycling bins? Does a document need to be printed? If so, why not on both pages? Do the lights need to be on? Or is there sufficient light from windows? Are the lights turned off when leaving the office? When work is finished, is the computer turned off? Heating and cooling systems account for around 40% of a business’s energy consumption. You can either regulate their use or switch to energy-efficient heating, ventilation, and air-conditioning systems. A green workplace also needs to be clean and hygienic. The cleaning products used will have an impact on the greenness of your workplace. So, choose eco-friendly products to mop floors, clean windows, and keep the staff kitchen and restrooms spotless. For greener washroom options, check with Alsco’s own washroom hygiene systems. Garages and workshops should consider switching to EcoSafe Washer, which provides effective, eco-friendly machine parts washing. Why not encourage your staff to consider green commuting? It’s an excellent way to lower your business’s carbon footprint. You can walk, use a bicycle, and choose a greener way of getting to work. Public transport – Helps lower fuel consumption and greenhouse gases. Carpooling – Sharing helps in reducing the number of vehicles on the road. Walking – Perfect for those living close to work and can benefit their health too. Cycling – The best option for anyone living between 5km and 15km from work. Ride2Work is a national program aimed to encourage employees to get involved in commuting green. Direct and indirect subsidies are paid to workers. Tax deduction is also provided for bicycles purchased by workers. Check with your local authority to see what financial incentives can be passed on via the workplace. In developing a sustainable Go Green program, make sure to get workers involved and make the benefits clear to everyone. Staff Involvement – Green practices will be more effective if you work together. Appoint a team for your recycling and energy reduction drives. Come up with fun activities and events that promote the greener practices. Educate on benefits – Let them know why the change is good. Put up posters or monthly newsletters to promote the benefits of going and staying green. Share the results of your energy-saving and recycling efforts. Alsco’s dedicated team will help keep your business clean, organised and professional. Their trusted services include affordable washroom and hand hygiene solutions and eco-friendly options for the workplace. If you were waiting for the perfect time to Go Green, the time is now. Get in touch with us for a safer, healthier workplace.